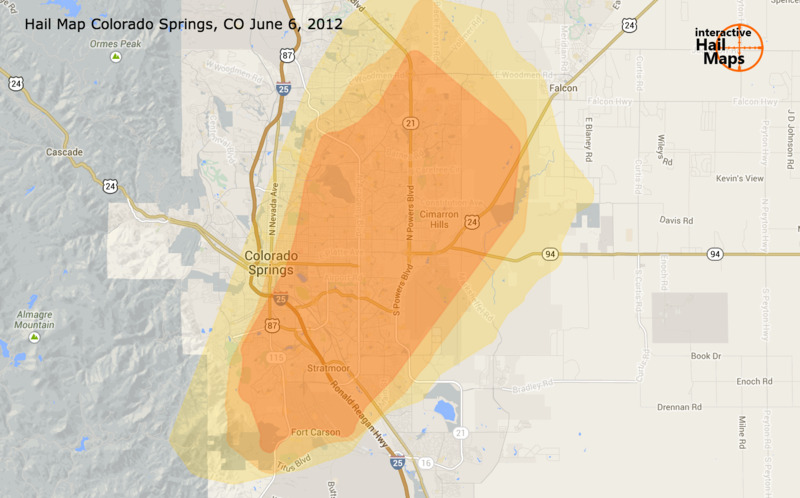 Here is a hail map from the hail storm that hit Colorado Springs on June 6, 2012. 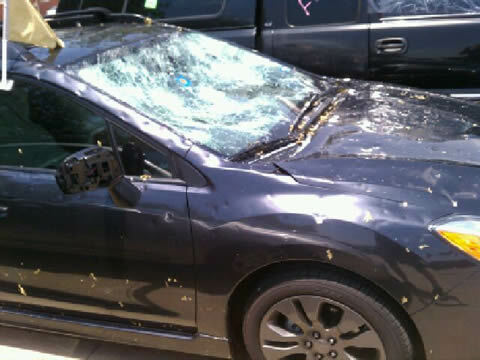 Colorado Springs was hit the next night with another hail storm! 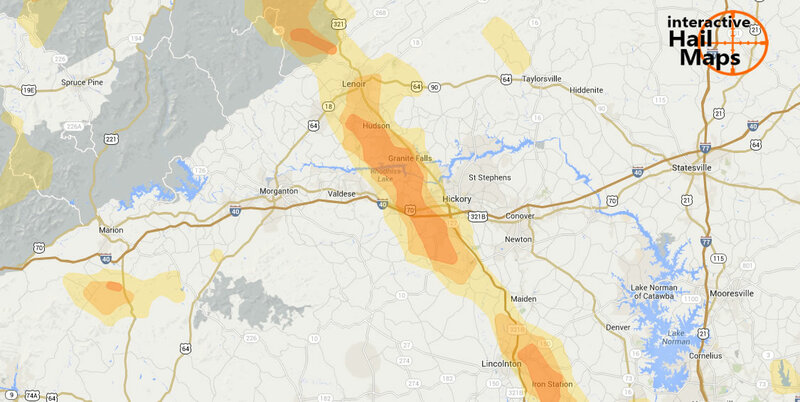 Use Interactive Hail Maps to find hail storms throughout the US. 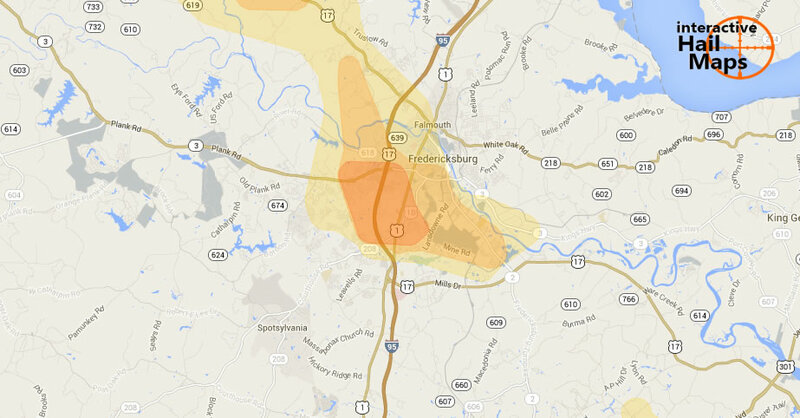 Large hail grazed Hickory, North Carolina, with most of the large hail hitting just south and west of the city. 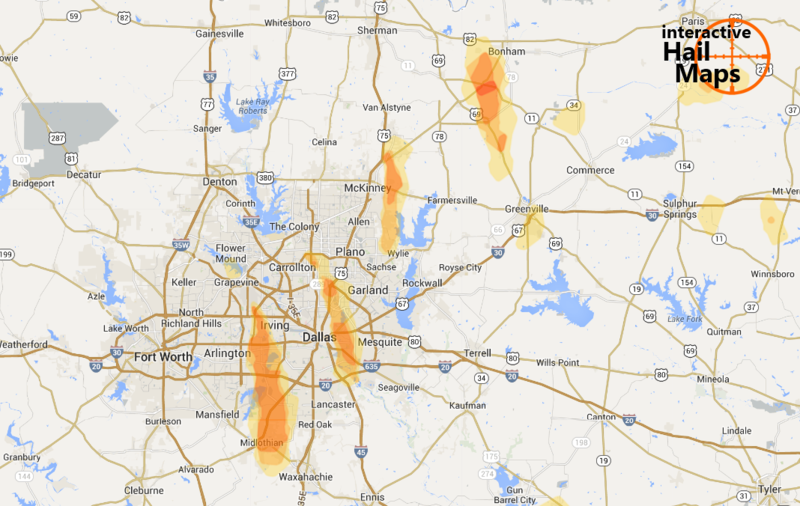 Use Interactive Hail Maps to find the hail others have overlooked. Zoom down to street level. 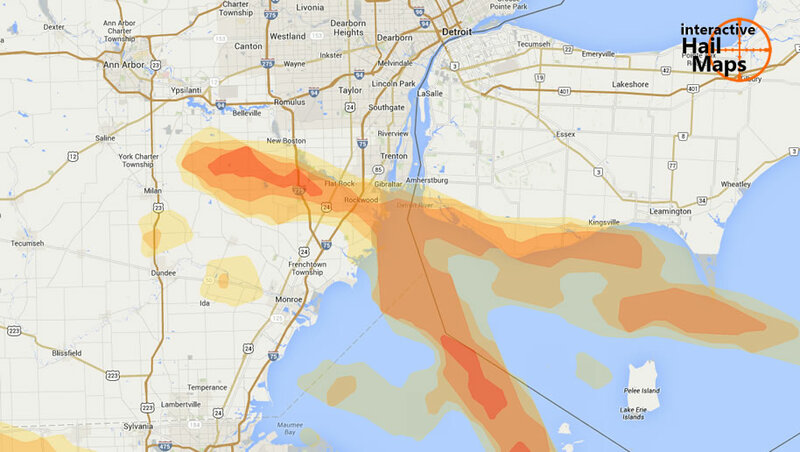 Here is the hail map for the hail storm that hit in and around Chicago on June 28, 2012. 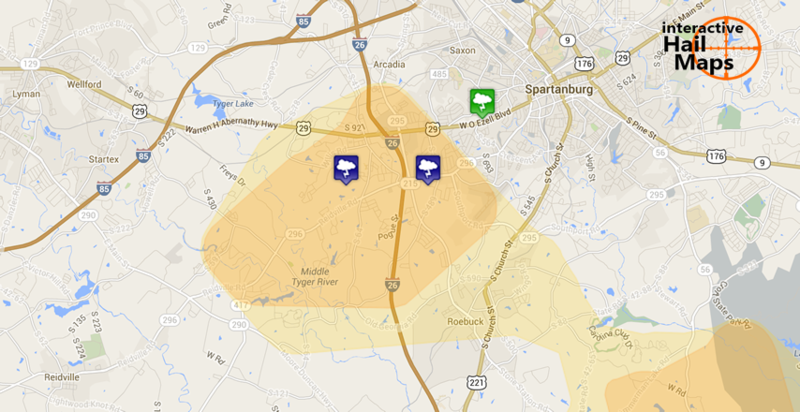 Use Interactive Hail Maps to find the hail others have overlooked. 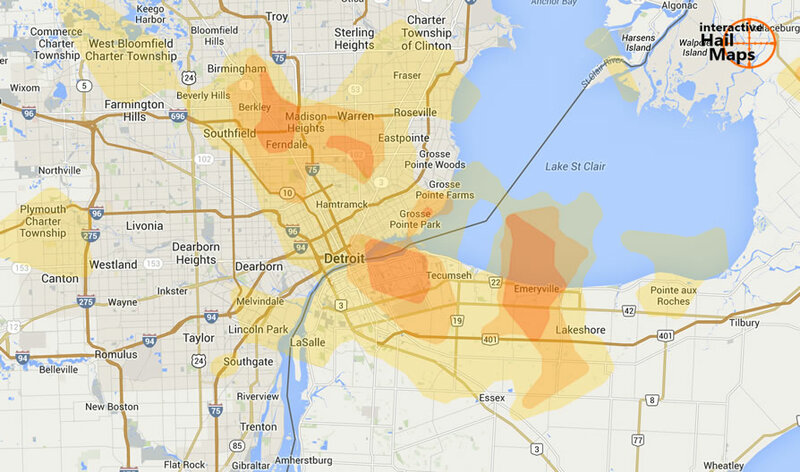 Here is a hail map for the storm that hit southern Denver on June 6, 2012. 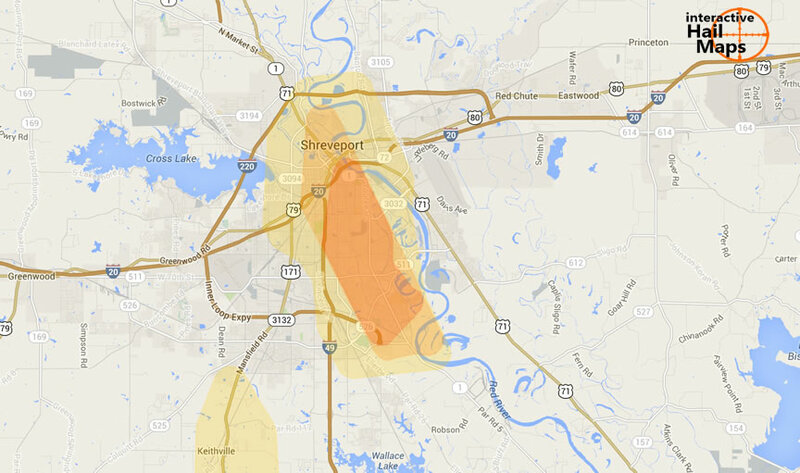 Most of the large hail was south and southeast of the city. 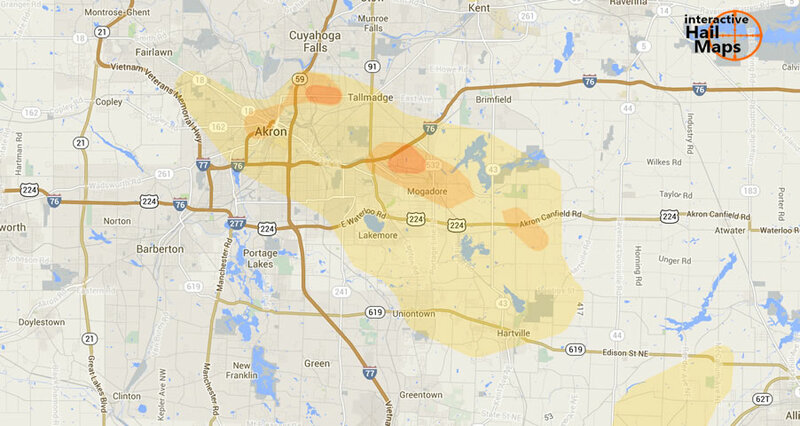 Use Interactive Hail Maps to find the hail others have overlooked with street level accuracy.